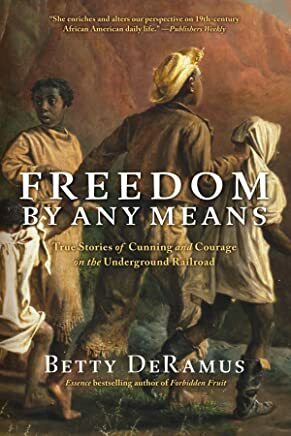 “In this powerful follow-up to her Essence bestseller Forbidden Fruit, Betty DeRamus explores the ingenious ways slaves wrestled freedom for themselves and their loved ones. We invite you all to take part in reading the book, visiting our discussions, and participating in any other events. In collaboration with our Community Read partner, Bridgewater State University this year, we have events including a guided walking tour of historic New Bedford’ Underground Railroad, guided tours of the National Black Doll Museum, a themed story time and much more! A full list of events and event details are available on our event calendar at mansfieldlibraryma.com or you can stop by the library to pick up a schedule of events. We are looking forward to getting the community engaged once again in this year’s One Book One Community Read in Mansfield. Libraries throughout Massachusetts and the country host community reads, promoting literacy and togetherness by sharing the same book read from a wide variety of perspectives. Come in to the library to pick up a copy of the book or place it on hold today by visiting the library website at www.mansfieldlibraryma.com. The library will gladly accept donations of copies in good condition. For more information on this program or any other adult or teen program at the library, please contact Whitney Brown, Reference/Teen Librarian, at (508) 261-7380 or email wkbrown@sailsinc.org. Children ages 3-5 will enjoy an interactive program about Backyard Frogs! The program will be led by an Audubon educator. Mansfield Public Library kicks off its new Monday Funday initiative that focuses on offering the community of Mansfield and beyond a variety of creative activities at the library! No matter your age or skill level, please come and knit. Here you will get inspiration from ongoing projects. You will learn new techniques from one another, and establish new friendships. Become a part of the knitting world comeback! Kim Giannouloudis has been knitting since age 13, and has taught ages 6-85. Colorwork, cables and on the round knitting are a few of her favorite techniques. Most importantly, knitting brings peace and calm while the creative juices are flowing. Starting April 1st, the Mansfield Public Library kicks off its new Monday Funday Initiative that focuses on offering the community of Mansfield and beyond a variety of creative activities at the library. For those who love to write or are interested in learning the writing craft, we have our very popular program: Writing Group for Adults w/Vlad Zachary! Do you love to write? Do you have trouble finding time or inspiration to write? Join our informal writing group! Be encouraged to set aside a time each week to dedicate to your craft and be inspired by your writing peers. The writing group meets weekly on Monday evenings at the library. Hosted by local Mansfield author Vlad Zachary. Vlad Zachary is the author of a nonfiction book titled The Excellence Habit: How Small Changes In Our Mindset Can Make A Big Difference In Our Lives.The Excellence Habit was Named Best 2016 Motivational Book by Next Generation Indie Book Awards, and Solo Medalist Winner by New Apple Literary. It is also a Readers’ Choice Awards Favorite and finalist at Eric Hoffer Awards. First-time author Vlad Zachary, grew up in Sofia, Bulgaria. During his college years, he built a name as a journalist for pro-democracy periodicals. As a student, Vlad also made his way onto the national TV scene in Bulgaria, where he anchored a leading, live news show. A few years later, he came to the United States, earned a Babson College MBA, and made a career in e-commerce, software, and marketing. This program is free and open to adults. For more information on this program, please contact Whitney Brown, Reference/Teen Librarian, at (508) 261-7380 or email wkbrown@sailsinc.org. Join our Non Fiction book club at the library! We welome all new members! Stories, songs and rhymes for the very young. Time for play after story time. Designed to be as relaxing as possible! Enjoy stories, songs and rhymes for young children, and then create a craft to take home! Children ages 3-6 will enjoy a story about making pizza! We will talk about what goes into making a pizza and how to measure ingredients. We'll then move to the craft table for a measuring activity! Mansfield Public Library is honored to host world traveler Dana Zaiser for a presentation and discussion on his recent trip to Iceland. This one-hour PowerPoint talk has both videos and still photographs so the audience can get a real feel of Iceland. From boiling hot springs to cold glaciers, Iceland is a study in contrasts. The barren treeless land with snow covered inactive volcanoes in the background is very beautiful. Iceland has the world’s oldest Parliament and the area where they first met is a United Nations World Heritage Site. And who can miss a chance to see the Northern Lights! This event is free and open to all. No Registration Required. Enjoy stories and songs for preschoolers, and then create a craft to take home! Learn how to decipher and create hidden messages using math, logic and reasoning skills. This session features a famous secret code and will be led by scientists Sandra Pearl, Ph.D. and Liz Bless, Ph.D. Calling all teens!!! The Mansfield public Library is currently looking for teens to be a part of the Teen Advisory Board. Children and their caregivers can enjoy toys, music, stories and an art activity with Carol Carver from Self Help, Inc. No registration required! Need help brushing up on your computer skills? For more information or to book an appointment, call the Reference Desk (508) 261-7380 or email wkbrown@sailsinc.org. Join our NEW mystery book club at the library! This book club will focus on various subgenres of mystery. This month's title is The Last Camellia by Sarah Jio. "On the eve of the Second World War, the last surviving specimen of a camellia plant known as the Middlebury Pink lies secreted away on an English country estate. Flora, an amateur American botanist, is contracted by an international ring of flower thieves to infiltrate the household and acquire the coveted bloom. Her search is at once brightened by new love and threatened by her discovery of a series of ghastly crimes. No registration required. We welcome all new members! This music class fosters a love of music in little ones and a sense of connection for Moms. Infusing kindness through positive messages in Ms. Carrie's award winning original music, this class will educate while it entertains babies to 4 years old during a magical and joyfully interactive musical experience that bonds parent and child like honey to the bee. Join us while we sing, dance, play instruments and joyfully express ourselves through a mutual love of music and fun! Only register for one of the two class times. Register separately for each child that will be attending. Thank you! Dance Lesson - Swing into Spring!! Join us for a Swing Dance lesson presented by Lois Meinhardt! No experience necessary! Enjoy yourself and lighten up your Monday mood with an evening of dancing! Lois is a high energy joyful teacher, who has won First Place in theater arts shows and competitions in US and Europe in swing, ballroom, latin, country and polka. Her 20 years of experience includes performing to choreography by Louis Van Amstel at the Warner Brother's Theater and studying with Tony Dovolani from Dancing with the Stars. She also teaches lessons on location (your choice), your style and level. This program is free and open to adults and teens. Registration is recommended. Please register below. Mansfield Public Library kicks off its new Monday Funday Initiative that focuses on offering the community of Mansfield and beyond a variety of creative activities at the library. There is a new growing trend of coloring for relaxation. Adults are rediscovering the stress-relieving benefits of coloring! The library will provide soothing music, coloring books, markers, colored pencils, crayons, and light refreshments. Children ages 3-6 years old can enjoy art and create something special to take home! Please register using our online calendar. Come to the Mansfield Public Library for our, "Thursday Night at the Movies"! The Mansfield Public Library hosts monthly bestselling movie showings from 6pm to 8pm. 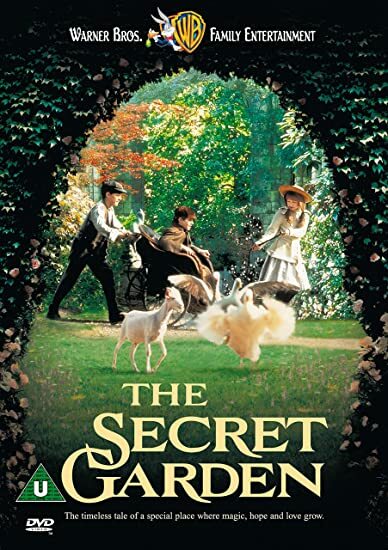 This month’s movie, "The Secret Garden," is rated G.
Contact the library for this month’s title or come in and check out the flyer! This program is free and open to all ages. No registration is required. Refreshments sponsored by The Friends of the Library. Sit back and enjoy a visual tour of some of the most gorgeous gardens in New England presented by Joanne Pearson of Fair Haven Photographs. This lively presentation features a colorful slideshow of some favorite public and private gardens in the region. 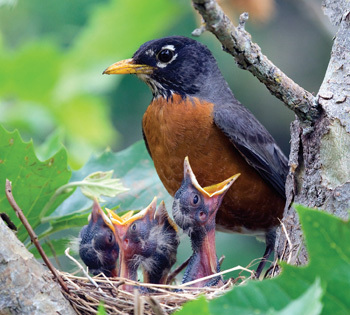 Many of the photographs you will see and more grace the pages of garden calendars published by Mahoney Publishing, BrownTrout Publishers and Willow Creek Press. During the presentation, valuable tips on garden design and techniques for photographing flowers and gardens will be shared. A handout with a list of known and not-so-well-known public gardens that you can visit will be provided. Children and their caregivers can enjoy a special science program geared towards children ages 3-5 years old. Please register using our online calendar! This month we will be discussing The Tattooist of Auschwitz by Heather Morris. "This beautiful, illuminating tale of hope and courage is based on interviews that were conducted with Holocaust survivor and Auschwitz-Birkenau tattooist Ludwig (Lale) Sokolov--an unforgettable love story in the midst of atrocity. " Come and learn from pros. 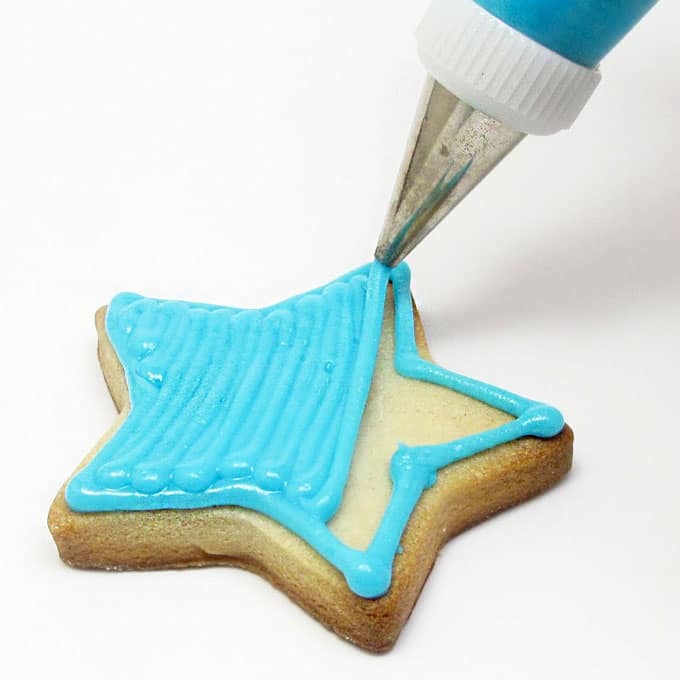 Two bakers will be teaching special decorating techniques. Each child will leave with five large and special cookies! For safety reason, no accomodations can be made for food allergies. Please register separately for each person participating. Come and learn from pros. Two bakers will be teaching special decorating techniques. Each teen and adult will leave with five large and special cookies! Join our book club at the library! This book club will focus on nonfiction works. 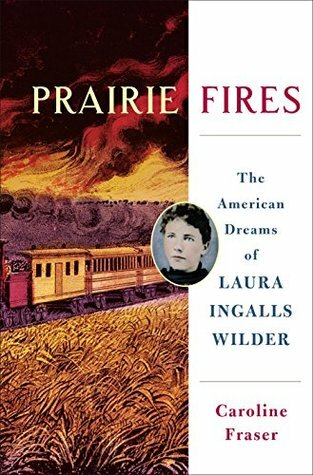 This month's title is Prairie Fires: The American Dreams of Laura Ingalls Wilder by Caroline Fraser. "A comprehensive historical portrait of Laura Ingalls Wilder draws on unpublished manuscripts, letters, diaries and official records to fill in the gaps in Wilder's official story, sharing details about her pioneer experiences." Please register below. A 'not to be missed' event!!! The Mansfield Public Library welcomes Cape Cod Historian Don Wilding, columnist for the Cape Codder author of "Henry Beston's Cape Cod" and the upcoming "A Brief History of Eastham," for a look at the wrecks of the Castagna, the Francis, the Montclair, the Jason, the Portland, and many more, including a look at some of the great shipwrecks and rescues on the Outer Beach of Cape Cod, ranging from the earliest days of the U.S. Lifesaving Service (1872) to the early years of the U.S. Coast Guard in the first half of the 20th century. THE LIBRARY IS CLOSED TODAY IN OBSERVANCE OF MEMORIAL DAY. Join in on our newest book club at the library! The Mystery Book Club focuses on various subgenres of mystery. 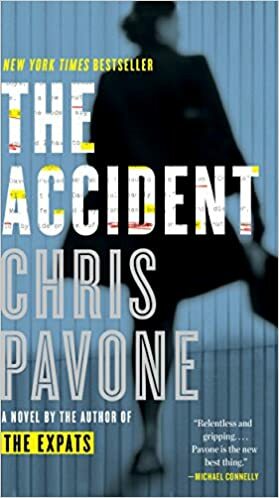 This month's title is The Accident by Chris Pavone. "As dawn approaches in New York, literary agent Isabel Reed is turning the final pages of a mysterious, anonymous manuscript, racing through the explosive revelations about powerful people, as well as long-hidden secrets about her own past. In Copenhagen, veteran CIA operative Hayden Gray, determined that this sweeping story be buried, is suddenly staring down the barrel of an unexpected gun. And in Zurich, the author himself is hiding in a shadowy expat life, trying to atone for a lifetime’s worth of lies and betrayals with publication of The Accident, while always looking over his shoulder. Join our book club at the library! This book club will focus on nonfiction works. 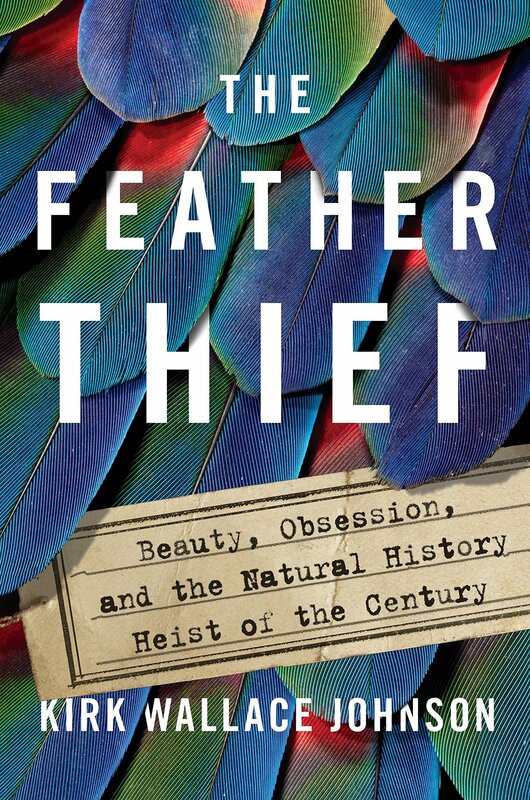 This month's title is The Feather Thief: Beauty, Obsession, and the Natural Heist of the Century by Kirk Wallace Johnson. "On a cool June evening in 2009, twenty-year-old American flautist Edwin Rist grabbed hundreds of bird skins - some collected 150 years earlier - and escaped into the darkness. Two years later, Kirk Wallace Johnson was consumed by the strange case of the feather thief. What would possess a person to steal dead birds? This is the gripping story of a bizarre and shocking crime, and one man's relentless pursuit of justice." Please register below. This month we will be discussing Little Comfort by Edwin Hill and will be joined by the author in person. "In a brilliantly twisted debut set among Boston's elite, Edwin Hill introduces unforgettable sleuth Hester Thursby--and a missing persons case that uncovers a trail of vicious murder . . .
As Hester's investigation closes in on their brutal truth, the bond between Sam and Gabe is tested and Hester unknowingly jeopardizes her own safety. While Gabe has pinned all his desperate hopes of a normal life on Hester, Sam wants her out of the way for good. And Gabe has always done what Sam asks . . ."
THE LIBRARY IS CLOSED TODAY IN OBSERVANCE OF INDEPENDENCE DAY. This month's title is I'll Be Gone in the Dark: One Woman's Obsessive Search for the Golden State Killer by Michelle McNamara. There is a new growing trend of coloring for relaxation. Adults are rediscovering the stress-relieving benefits of coloring. We meet the 1st Thursday of the month . Drop in between 5 and 7 p.m. The library will provide soothing music, coloring books, markers, colored pencils, and crayons. 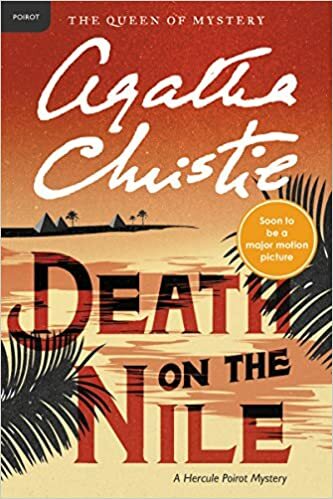 This month's title for the Mystery Book Club is Death on the Nile by Agatha Christie. "Th e tranquillity of a cruise along the Nile was shattered by the discovery that Linnet Ridgeway had been shot through the head. She was young, stylish, and beautiful. A girl who had everything . . . until she lost her life. Hercule Poirot recalled an earlier outburst by a fellow passenger: "I'd like to put my dear little pistol against her head and just press the trigger." Yet in this exotic setting nothing is ever quite what it seems." THE LIBRARY IS CLOSED TODAY IN OBSERVANCE OF LABOR DAY. The Mystery Book Club title for this month is Button Man by Andrew Gross. This month's Mystery Book Club title is The Widow's House by Carol Goodman. "When Jess and Clare Martin move from Williamsburg, Brooklyn, to their former college town in the Hudson River valley, they are hoping for rejuvenation—of their marriage, their savings, and Jess's writing career. But their new life isn't all quaint town libraries and fragrant apple orchards. There is a haunting pall that hangs over Riven House like a funeral veil. Something is just not right. Soon, Clare begins to hear babies crying at night, see strange figures in fog at the edge of their property. Diving into the history of the area, she realizes that Riven House has a dark and anguished past. And whatever this thing is—this menacing force that destroys the inhabitants of the estate—it seems to be after Clare next…"
THE LIBRARY IS CLOSED TODAY IN OBSERVANCE OF COLUMBUS DAY. 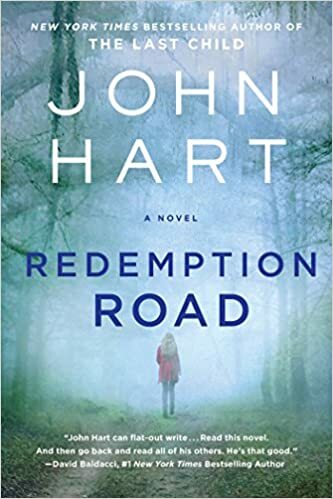 This month's Mystery Book Club title is Redemption Road by John Hart. A boy with a gun waits for the man who killed his mother. A troubled detective confronts her past in the aftermath of a brutal shooting. This is a town on the brink. This is Redemption Road. 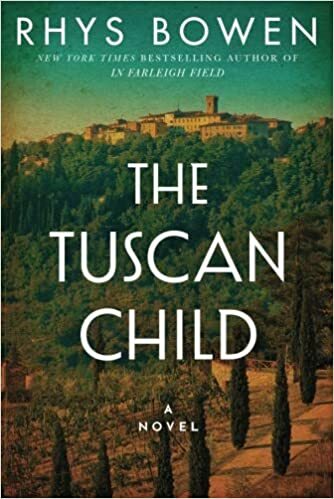 This month's Mystery Book Club title is The Tuscan Child by Rhys Bowen. "In 1944, British bomber pilot Hugo Langley parachuted from his stricken plane into the verdant fields of German-occupied Tuscany. Badly wounded, he found refuge in a ruined monastery and in the arms of Sofia Bartoli. But the love that kindled between them was shaken by an irreversible betrayal.